The very first hull of the Selene 59 Ocean Clipper of the new semi-displacement trawler line designed by Howard Chen was tested on the Pearl River. The successful sea trial matched all the expectations of the owner and the builder with a 19 knots speed and perfect tracking under auto-pilot. The yacht will soon be delivered to the happy owner in Europe. The Selene 59 Ocean Clipper sports a contemporary interior design with beautiful joinery and extraordinary outdoor space on decks. With three luxury staterooms, a large salon and a wide pilothouse with a commanding view on the surroundings, a large cockpit and a wide flying-bridge the Selene 59 Ocean Clipper reveals all the skills and know-how of the Selene shipwrights and engineers. 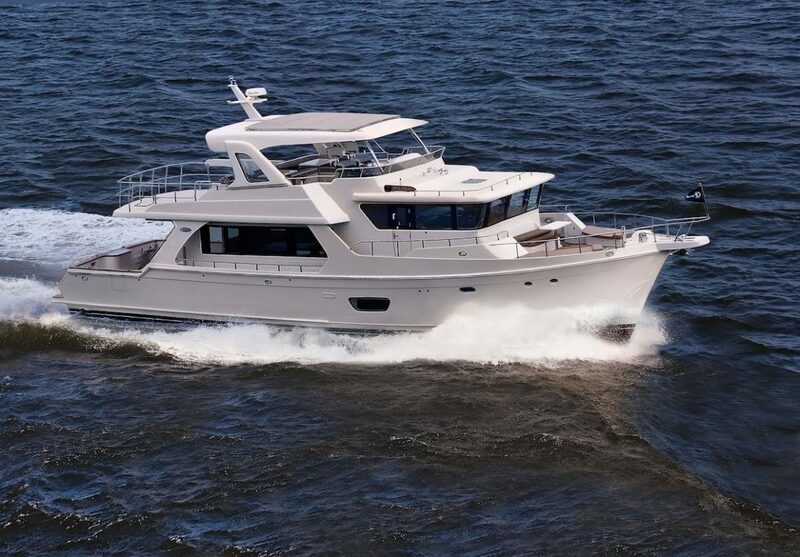 The pilothouse is a captain’s dream with a large dashboard, which can host a full array of electronic displays and instruments, and the high-raised settee, concealing a cozy watch-berth, is a perfect observation spot for the passengers.